Senior Hunter Ginn has been seen as an evil and distraught Sweeney, as a lovable and goofy detective Benjamin Braddock, and as a cocky and obnoxious Gaston. His beautiful voice has been heard and he has convinced many that he is someone he is not. Being forced into theatre payed off for Ginn because he was able to find his passion. 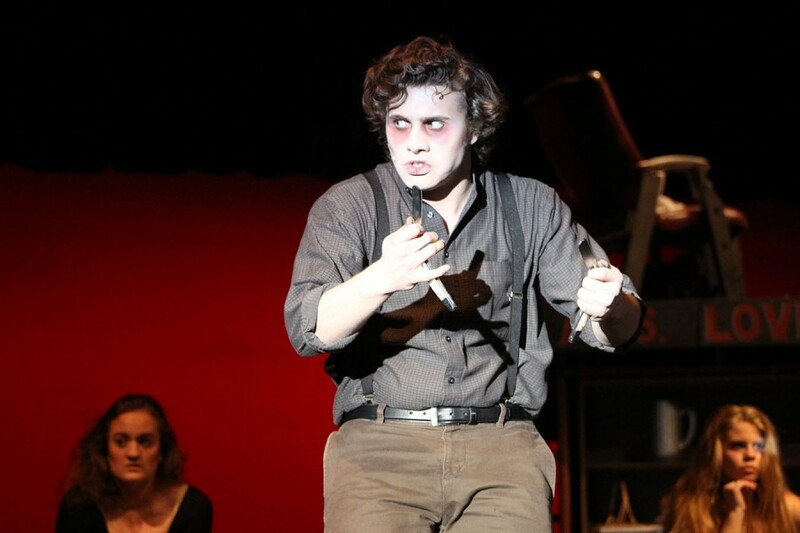 Not many high schools put on and pull off a play as musically and talent-demanded as Sweeney Todd. With the help of Ginn and the other actors in the musical, they managed to sell out every night. Ginn’s artistic soul branches out from theatre and leads him into other extracurricular activities like oral interpretation and choir.